Pushups are one of many calisthenic exercises. Calisthenics, another word for body-weight exercises, include pushups, situps, squats, lunges and pullups, to name a few. 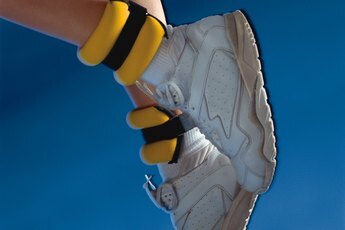 These exercises can be performed virtually anywhere and require no specialist equipment. While very beneficial, calisthenics are not without disadvantages, although the degree of disadvantage depends very much on your training goals and current level of fitness and strength. You can adjust the difficulty of many calisthenic exercises by moving your feet, altering your body position, lengthening or shortening levers, or working one arm or leg at a time. You can also make an exercise more demanding by performing an ever-increasing number of repetitions. Eventually, however, you may reach a point where you're unable to overload your muscles any further and the exercise becomes less effective -- especially if you're training for maximal strength. There is no such limit with weight-training exercises. Calisthenic exercises are compound in nature. That's to say, they involve multiple muscles at the same time. Compound exercises are deemed to be more natural and functional than single-joint isolation exercises, but bodybuilders use a lot of isolation exercises to make their muscles bigger. Because calisthenic exercises target groups of muscles rather than individual ones, they might not be the ideal choice if muscle hypertrophy or growth is your aim. Beginner exercises are often weak and may be unable to perform even a single basic calisthenic pushup, pullup or squat. This problem is compounded if the exerciser is also overweight. Where you have to be able to lift your body when performing calisthenics, weight-training exercises can be performed with much lighter weights. This means some weight-training exercises may be more accessible than calisthenics for some exercisers. Some calisthenic exercises can be quite dangerous -- especially if you lack the necessary conditioning, flexibility, coordination or strength to perform them properly. 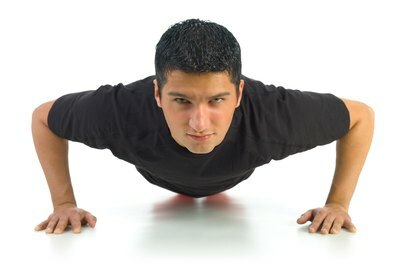 For example, one-armed pushups are significantly more difficult than regular pushups and trying this exercise could result in injury. The same is true of pistols or single-leg squats, human flags, planche pushups and muscle ups. The jump from more basic exercises to these advanced moves can be too much for some some people, and smoother and more gradual increases in workload are possible with weight training.